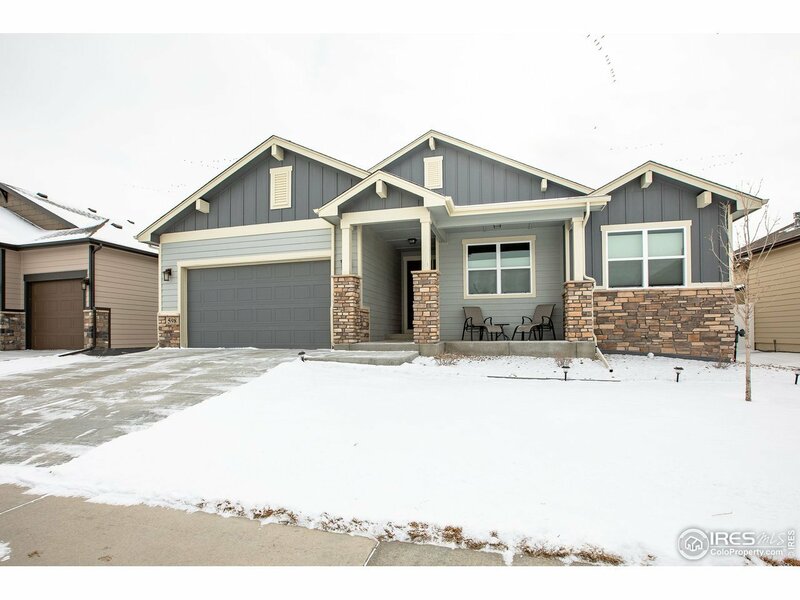 Main floor living in this gorgeous ranch home with a 3-car garage that backs to open space! Nicely upgraded with wood floors throughout main areas, gourmet kitchen with granite, gas stove, double ovens and an island, plus a covered patio for outdoor entertaining! Stone fireplace, wrought iron railings, upgraded lights, fully drywalled garage and built-in cabinets in laundry room. Better than new with backyard landscaping and window coverings!